The Obama Administration has issued more than 20,000 new regulations and 235 Executive Orders since it came into office in 2009. The 114th Congress has passed more than 200 new laws since called into session in January of 2015. This virtual tidal wave of public policy activity has impacted the way every sector operates, from energy to financial services to food and agriculture. Whether your industry supports or opposes new public policy proposals, final laws and rules often take months and years to work their way through the federal government’s feudal policymaking process. But think about the moment in time when a new rule is proposed by your chief regulatory agency, or a new bill introduced by a hostile member of Congress. Is your advocacy communications team ready and up to the task of supporting an aggressive lobbying push that seeks to alter, pass or defeat regulatory or legislative proposals that impact the way your industry sector does business? Whether your industry and its trade associations are in the midst of one of these battles now, or whether you want to be prepared when the next shoe drops, successful associations should scorecard (audit) their advocacy communications capabilities at least every 2-3 years to ensure they are positioned to succeed in today’s complex advocacy arena. Not all trade association executives fully comprehend the nuances of the public relations profession. Within our discipline, there are marketers, social media experts, press secretaries, copywriters and host of other specializations. In Naval terms, you don’t want to go into battle with a Cruiser when you really need the firepower and flexibility of an Aircraft Carrier. You need to stockpile communicators and public relations professionals with political campaign experience on their resume and those that have a successful track record of developing and managing integrated advocacy campaigns. In addition, make sure you select advocacy communicators who have a demonstrated ability to collaborate with your government relations team. Failure to do so can be crippling to the effort. Advocacy initiatives are not “business as usual.” Due to the unpredictability of the public policy landscape, they are costly, stressful and time consuming. Contentious debates take organizations and individuals out of there comfort zones. Things don’t always run smoothly during public policy debates, and these initiatives can expose groups and individuals to media attention they don’t want or did not anticipate. Advocacy communications is not a no-risk exercise. Cover your bases and make sure your board, your leadership team, your advocates and your communicators are aligned on an aggressive posture. In today’s fast-paced world, that is the only way to keep hammering home your messages and persuade those you need to persuade. 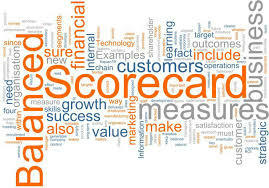 If your industry sector or trade association is engaged in a public policy battle or wants to be prepared for the next one, the organizations that evaluate and scorecard their advocacy communications capabilities using “The Three P’s” will be best positioned to get the results they want.